Zazzle has rolled out another new product: tanks with all-over printing. These are all customizable – you can resize the graphics, change some of the background colors or add text to personalize them. 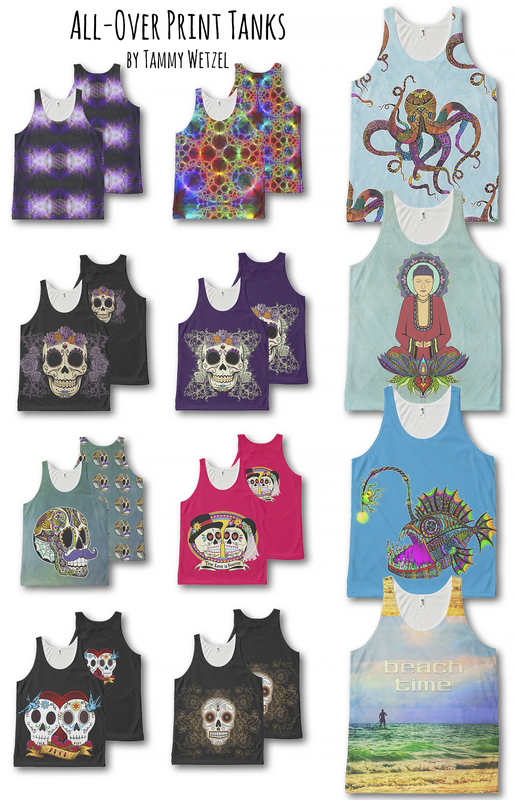 Head to my Zazzle storefront here and click on any design category to check them out. Enjoy! Unisex – one size fits both Men and Women. Printed on white, 100% spun polyester shirts for a look and feel of cotton. Custom designs printed in vibrant prints that will not crack, peel, or flake.